Emilie Holmes was working in advertising when she had a business idea. She wanted to get it off the ground but needed help, so she turned to crowndfunding site Kickstarter and waited to see what would happen. Emilie, 29, has now been able to quit her job to pursue her dream. Now the proud owner of tea brewing and trading company Good & Proper, Emilie chats to List for Life about how she turned an idea into a successful business. 1. Where did the idea for Good & Proper come from? It all came about because I was a frustrated tea drinker. I don’t drink coffee and there is a lot of very bad tea around. I talked about it for a long time and did lots of doodles, but it came to a point where I really had to just scratch the itch and go for it. I quit my job in advertising, I was an account manager at Ogilvy and Mather, to pursue it, not really knowing what ‘it’ was. I knew that I wanted to serve better tea but I didn’t know how to go about it. 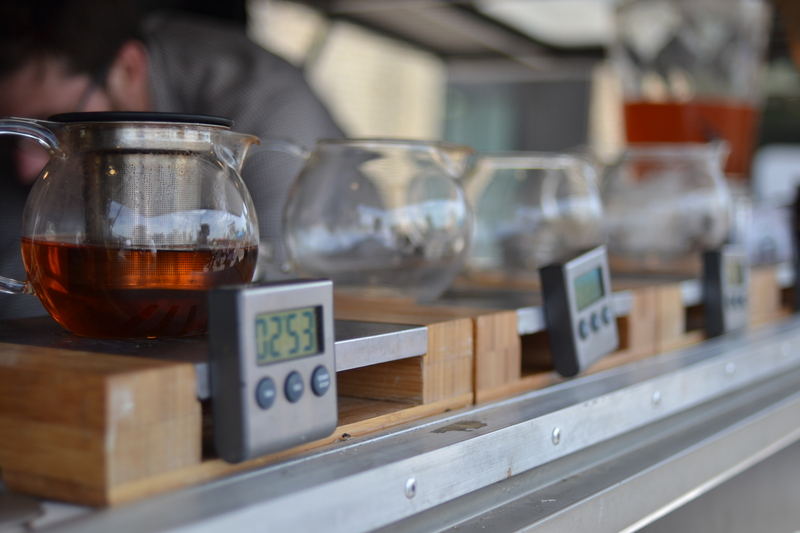 Street food started to become popular in London and I found myself a van to turn into a mobile tea bar. That’s when I realised that I didn’t have enough money to kit the whole van out. 2. How did seeking funding through Kickstarter come about? One night I saw a tweet that Kickstarter had launched in the UK. I manically scrambled together a project and got a friend to make a film. We went live on the site the first day that Kickstarter opened over here. In hindsight this was really amazing because it meant that there were a lot more eyeballs on our project. Also the Americans obviously loved the fact that it was a tea van. 3. What are your thoughts on Kickstarter as a tool? I’m a really big fan. I had never really introduced my business idea to the world and Kickstarter is great in that it makes you actually articulate what it is that you want to do and what problem you have found that you want to solve. I also had no idea if people were going to be interested which was a really scary moment. 4. How has crowdfunding helped? You get people from all over the world giving money. Even if it is just a fiver it is sort of a thumbs up and their way of saying ‘good luck’ and ‘go for it’. It is such a source of support. It’s such a nice thing to know that people are rooting for you and your idea. 5. Was it tough to quit your job? I always knew that I could go back to advertising if I needed to. That was always sort of at the back of my mind, but I knew that I couldn’t do my job and put my all into my business. It needed to be one or the other. 6. What would your advice be to someone wanting to start a company? My advice would be to just do something. The planning is really scary, it’s probably the worst phase and the biggest hurdle. As soon as you start getting replies to emails and things start to happen you have momentum. That makes it feel very real and that is what you need. You can feel totally overwhelmed until you actually begin. If you just do something, however little, you will start to see that the task is not that hard. Get the ball rolling. 7. Is there anything you would do differently if you were starting over again? I think I would be less of a perfectionist. I was waiting for all my ducks to be in a row. I wanted all the branding to be done and I wanted every small detail to be ready. I thought that when I launched, everything had to be perfect. In reality none of that actually matters. What cup size you need isn’t that important on the grand scale of things. You can always get a different sized cup. The thing is that you can’t really guess things before you start out. You are in a much better position to make changes when you are up and running. 8. What’s next for the company? We have also just raised an investment from Crowdcube, a more grown-up version of Kickstarter, and we are using that money to open our first tea house in Shoreditch on November 1st which is very exciting. I am just about to walk into a meeting to discuss tiles and designs for the interior of our tea house. It’s all happening! I’m also getting married in the same month so it’s all going on all at once. We have some momentum and I’m doing the things that I have dreamed of. 9. Where can we find Good & Proper? We go around to different events, festivals and parts of London, it’s quite nomadic. Check out our Instagram and Twitter for more information on where to find us. During the week we are mainly in Brockley Market, London and you can also buy Good & Proper tea online here.